Increased automation and the ‘internet of things’ are making a huge impact on all aspects of our lives, in consumer, commercial and industrial markets. These trends are driving increased demand for engineering expertise, not just in the UK, but globally. The UK currently faces a shortage of skilled engineers, estimated in Engineering UK’s 2017 State of Engineering Report at 20,000 annually. This is despite the sterling efforts of initiatives such as STEM, which have led to a 9 per cent increase in engineering and technology degree entrants, and the highest level of engineering related apprenticeship starts for 10 years. With Brexit on the horizon and the uncertainty surrounding the status of EU workers, the prospects for UK employers seeking engineers look bleak, unless we act now. And by ‘we’ I mean engineering employers. Brexit negotiations aside there is much we can do, that we have a responsibility to do, both individually and cooperatively to keep UK industry competitive in a global marketplace. We need to build an ecosystem to nurture new engineering talent. Business must work with government, the education sector and training providers, as well as organisations such as CBI, IET, STEM and the like. 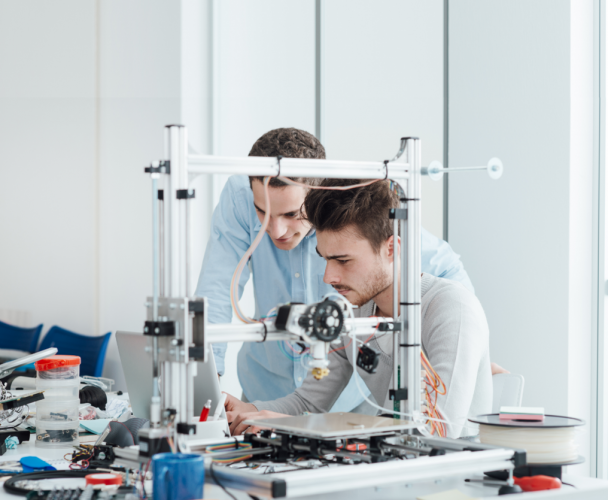 It is crucial that engineering educators broaden the curriculum and keep up to speed with the skills required by UK industry, and that government boosts its support for industry and education, to help increase the ‘home-grown’ pool of engineering talent. We have to start with promoting technology and engineering as an exciting and rewarding career to school-aged children. All kids are interested in, and familiar with technology today, be it mobile phones, the internet, social media or electronic games. That all branches of engineering are now impacted by technology is a point to emphasise. Thus, directly, and through teaching staff we need to encourage more pupils to choose STEM subjects. It is critical that pupils stick with some of them at least to GCSE level, giving them the option of a career in engineering and technology. Next, we need to demonstrate, through the education system, the multiplicity of the discipline: structural, mechanical, electrical, software; and the diversity of the applications: construction, environmental, IT, medical, automotive. Importantly, we need to emphasise that engineering is about problem-solving, design, innovation and especially about understanding the environment in which a product, device or application is going to be used. Meanwhile, it is vital to nurture and retain the talent that we have. Today’s engineers should be rewarded appropriately, respected and appreciated, and encouraged to develop their skills further. They are our best ambassadors – communicating to their children and others the excitement of the discipline, the challenge and the rewards. All engineering employers, even small businesses, can do more to nurture young engineering talent, be it providing work experience opportunities in school holidays, undergraduate work placements, taking on apprentices, encouraging personal development and, particularly if you employ young engineers, supporting them to be STEM ambassadors. At school, she says, there was little emphasis on STEM skills and Chelsea was unaware of what a career in engineering could offer. Now she volunteers as a STEM ambassador, offering her time to support educators, and to inspire young people of the opportunities open to those with STEM subjects under their belt, and that engineering is not gender-limited. Often, recently qualified STEM ambassadors use their skills and knowledge to inspire young people. 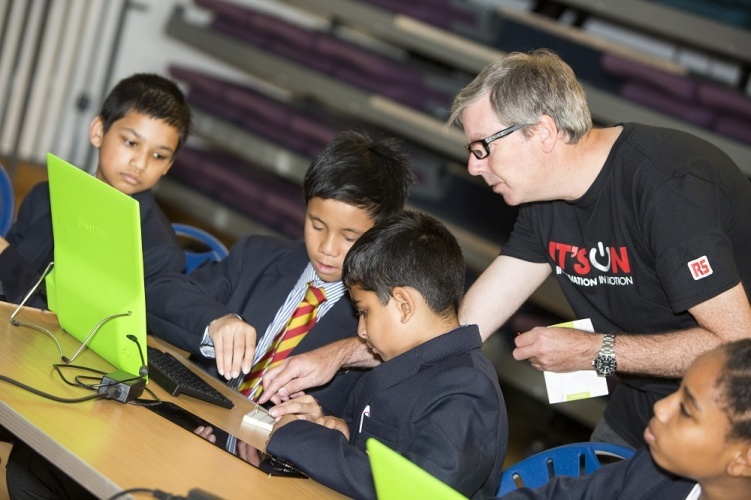 They take time out to run practical workshops and even design and develop products specifically for the purpose of encouraging young people to give engineering a go. RS Components has been working on a number of schemes and initiatives; some of its own, some with partners. For example, RS University, through its DesignSpark website, supports tomorrow’s engineers and educators with free electronics and mechanical design tools, educator and workshop materials and an online environment to encourage innovation sharing. RS Live features a 35-tonne truck that tours around the country showcasing innovations not only to customers but also academic institutions, schools and local communities. The aim is to demonstrate the diversity of engineering disciplines and to capture the interest of young people. 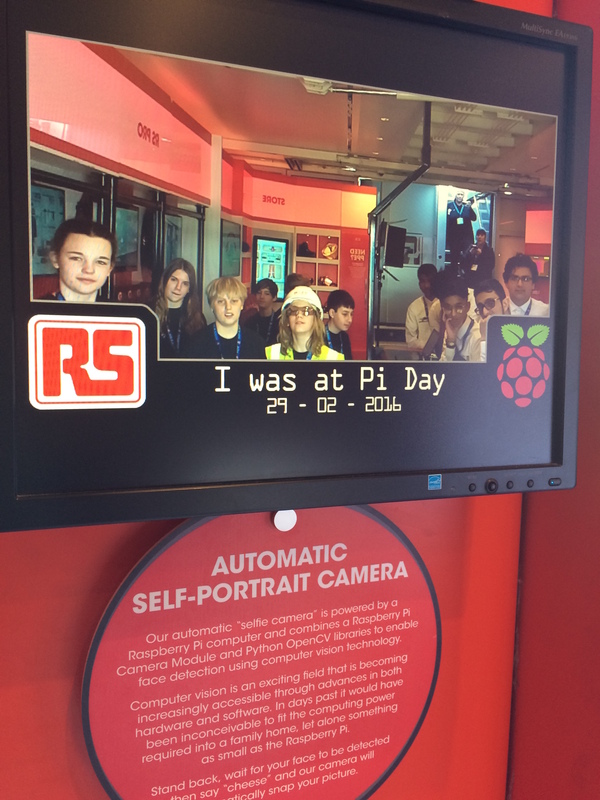 Plus, RS actively engages in educational projects in collaboration with technology innovators such as Raspberry Pi. The primary aim: to motivate children with a fun and exciting introduction to engineering. Here’s a great example of how innovations such as Raspberry Pi have helped inspire tomorrow’s engineers. Matt Timmons-Brown, a full-time A-level student in Cambridge, is also known as ‘The Raspberry Pi guy’. “Raspberry Pi has changed my life. Without stumbling upon it at the age of 12, I would never have become interested in computer science and electronics,” he recalls. Since then he set up his first YouTube channel to cater for the lack of video tutorials on the Raspberry Pi, which has now logged almost 4 million views. He presented at ARM’s 25th Anniversary Conference to 1500 people at the age of 16. Matt believes many young people are being galvanised by the Raspberry Pi, and it has shaped computer science education in the UK and beyond. We have a serious challenge ahead of us to nurture and develop the engineers we need to build the talent pool and secure the future of the UK engineering sector. Brexit has already created an element of fear and uncertainty, but I have no doubt that we can win through. There are some great young engineers out there – not only high achievers – but great ambassadors for the engineering discipline. We need more of the same. However, industry, government and academia each need to do their bit, and we need to work together. Let’s get on with it.